Aqua Garage Services in Eastney Road, Portsmouth, cover Southsea, Portsmouth and the Hampshire area. Hampshire & Portsmouth MOT work is carried out, MOT’s arranged and cars can be collected if required. Typical Portsmouth MOT repairs include welding, panel fabrication, new tyres, new brake discs and/or brake pads, electrical issues & diagnostics. 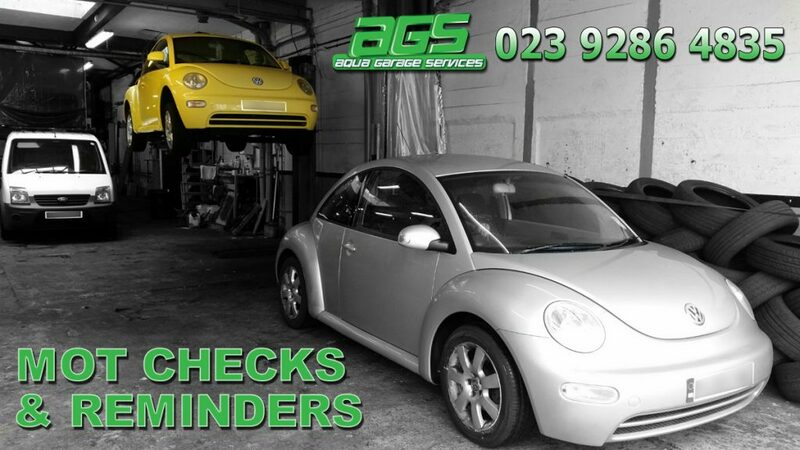 These two VW Beetles were recently booked in together for MOT & servicing work. The ‘on-ramp’ VW Beetles repairs were new front tyres and minor suspension repairs after too much play was found on the front end of the car. Replacement parts solved the issue and the car passed it’s MOT with flying colours. The second car required servicing work, wheel alignment and tyres swapping round to even out tyre wear after running with incorrect geometry – likely caused by hitting or driving up the curb. This lovely Rolls Royce was booked in by a long standing and loyal customer. The car required servicing and an MOT but only required new tyres for the MOT. 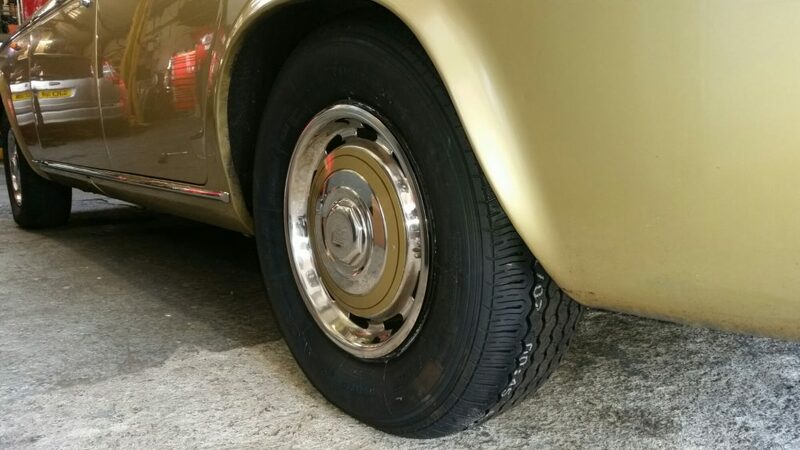 We fitted brand new Avon tyres to the Rolls Royce which is now back out on the road being used, as it should be. We had an old Nissan Micra booked in for an MOT. 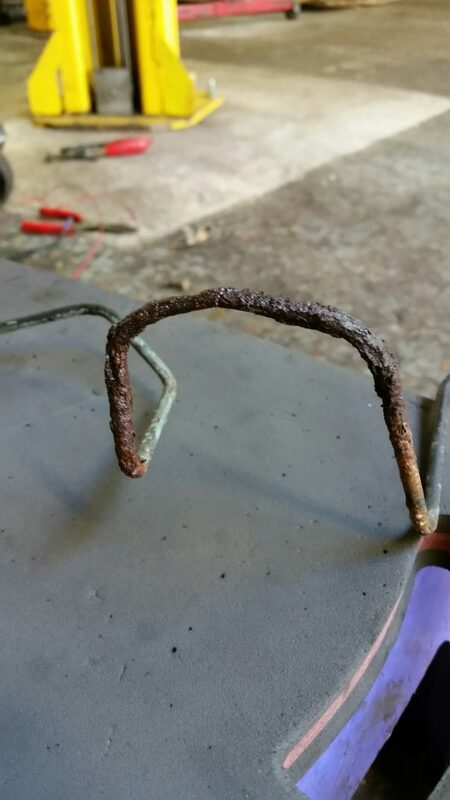 The car had a badly corroded brake pipe which failed – causing it to loose it’s brake fluid whilst having its MOT test. This car had not been serviced for quite some time and had gone well over recommended service intervals. This highlights the importance of having vehicles serviced at regular intervals in order to maintain safety. The brakes could have failed on a motorway, approaching traffic lights or worse – at a pedestrian crossing. Copyright © AGS - Aqua Garage Services All Rights Reserved.